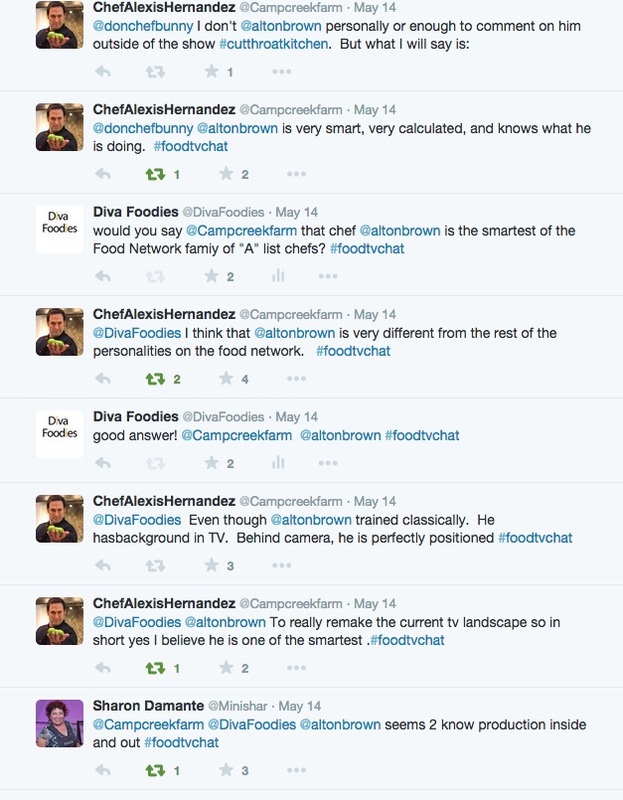 Q1: @Campcreekfarm: Is @altonbrown this wicked & #evilicious outside of #CutthroatKitchen? 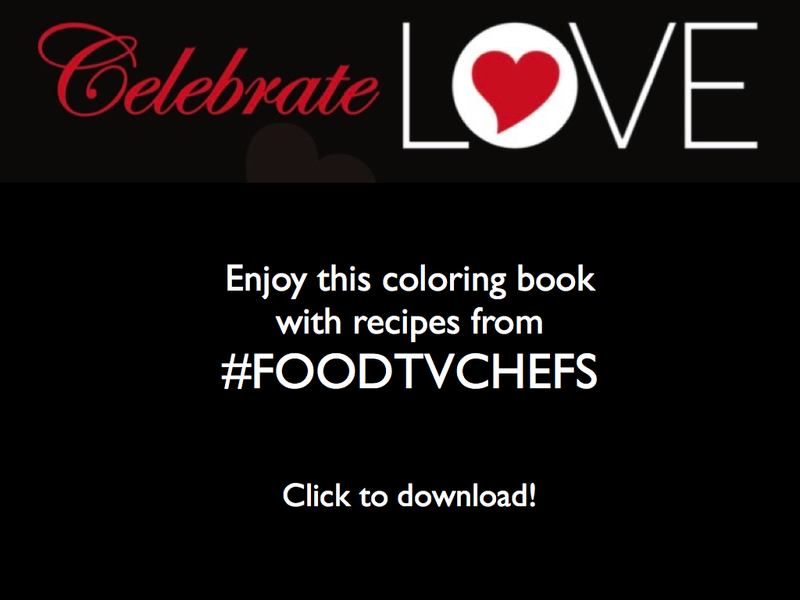 #FoodTvChat or a softy like a teddy bear? 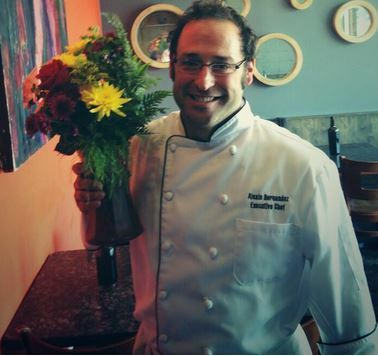 Chef Alexis’s Strategy to Win Cutthroat Kitchens? We would like to mention that next week’s (May 21) #FoodTVChat Guest Chef, All Star Academy Alum Sharon Damante joined this week’s #FoodTVChat from her airplane seat, #Sharon’sTraveledTable! 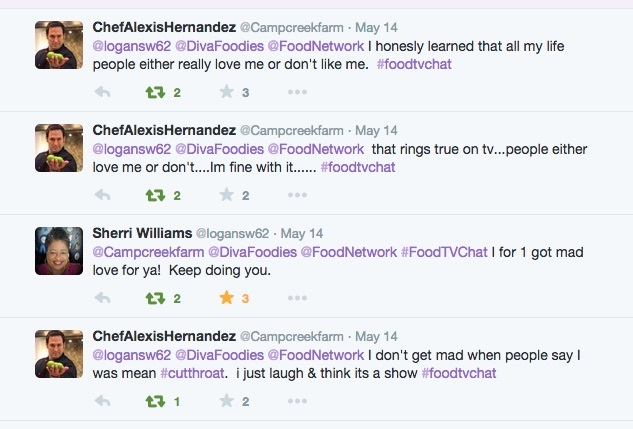 Thanks Sharon…and we agree, #FoodChatTV on May 21 will be a blast of a chat! We are looking forward to it! And Sherri Williams, the #FoodTVChat photo of your Baked Mussels was to die for. 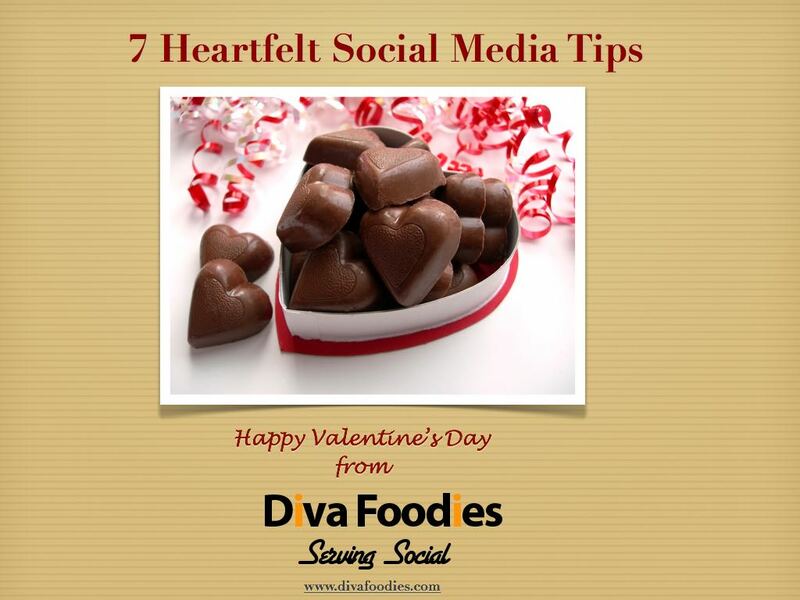 Thank you for sharing the photo and the recipe! Hope you don’t mind if we re-share it right here. Place mussels on foiled-lined cooking sheet; spoon butter/garlic mixture over mussels followed by mayo/sriracha mixture. Top with cotija and chives. Bake for 10 minutes. Remove shells carefully, they are hot. Enjoy! So, join us next week for #FoodTVChat, 7PM Eastern. 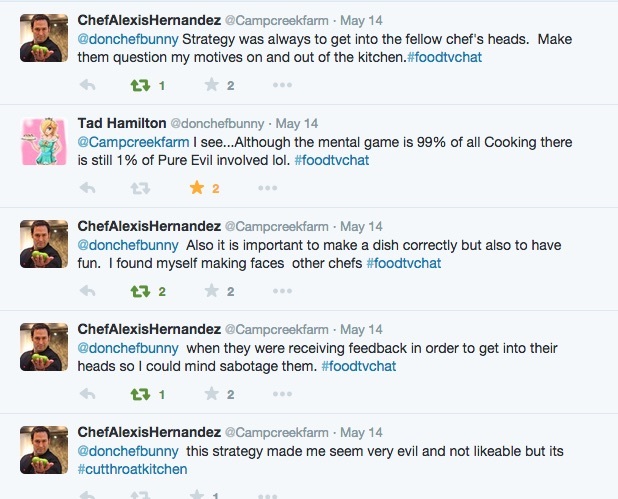 The first and only Twitter chat about FoodTV with chefs, home cooks, their audiences..and recipes! !